The new deal is to be known as the Lansdowne Road Agreement, Brendan Howlin explained outside Lansdowne House, the utilitarian building where the dotted lines on the latest public sector pay agreement were signed by union and government negotiators. Given that the last such arrangement was called Croke Park, the Government could've stuck with a sports stadium theme and dubbed the new version the Aviva Agreement. It has a jolly ring to it and also reflects the fact that more moolah in the pockets of the country's 300,000 public sector workers will surely give the Coalition a bit of extra house insurance when the election rolls around. The Public Expenditure and Reform Minister arrived at 5pm for the final round of handshakes. He looked a little fatigued - but then it has been an extraordinarily eventful week in Irish politics. It was exactly a week yesterday since the country went to the polls and voted by a considerable majority for marriage equality. By Monday, Fianna Fáil had lost Averil Power as a bitter falling-out between the party and the senator dominated the airwaves. 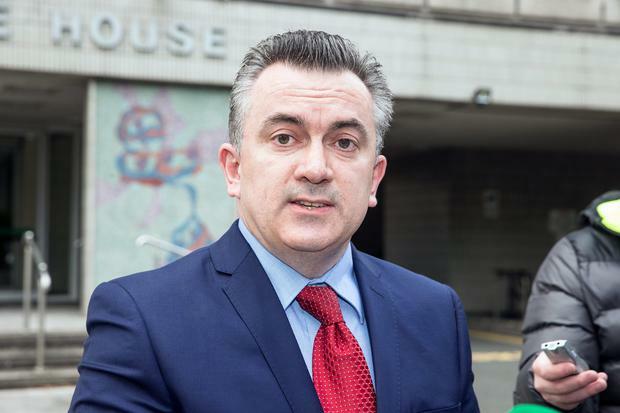 But then on Thursday Labour lost one of their own when Clare TD Michael McNamara deplaned after voting against the government on the motion to sell the state's Aer Lingus shares. All in all, it had been an eventful seven days for the denizens of Leinster House and now with a Bank Holiday weekend looming, nobody seemed in the mood for one of the endless, marathon, all-night talkfests so beloved by social partners in bygone days, or to prolong the haggling. The gaggle of media keeping chilly vigil on Lansdowne Road was confident that the negotiations would conclude at a civilised hour (i.e. before the holiday weekend traffic turned into a nightmare). Sure enough by five o'clock white smoke materialised in the form of a flurry of press releases from both sides - despite some last-minute foot-dragging in the corridors of power on the pay restoration element. Brendan Howlin may have been a little weary, but he was upbeat. Under the terms of the €566m agreement, public sector workers will get pay hikes amounting to €2,000 between next January and September 2017, and there'll be a reduction in the public service pension levy which proved to be about as popular with Irish folk as Oliver Cromwell, the Thierry Henry (right) handball and the local weather forecast for this holiday weekend. "It begins the process of unwinding the financial emergency measures in a prudent and sustainable fashion thereby reducing the risk to the sustainability of the public finances," he declared cheerfully. And moreover he proclaimed the deal will "secure a peaceful industrial relations environment until September 2018". And of course Labour, a party on the ropes electorally according to a succession of opinion polls, would fervently like not to have to fight the next general election against a backdrop of public sector discontent, and are happy to open the lid of the cookie-jar. Minutes after the minister had departed, IMPACT spokesman Niall Shanahan took his place. The deal "achieves the objective of fairness," he said. "Public sector pay recovery is just one element of economic recovery and it's very much keeping in step with pay improvements that are happening in other sectors, so we very much welcome that," he added. So now the Lansdowne Road Agreement will do the rounds of the individual unions, which will give the Coalition - and an anxious Labour Party in particular - any inkling that public sector support can be wooed back at all. Inevitably not everyone will be happy with the deal. Even by the end of the day a few grumbles were rising. Fianna Fáil gave it "a cautious welcome", but Renua blasted the whole thing as "the return of Bertie-Bowl politics" - and in fairness if back in the halcyon days of social partnership during the early Noughties, a sports stadium theme had arisen, the Bertie Bowl Agreement could have been a most apt name indeed. No doubt there'll be some hardball played over Lansdowne Road. But not while the Dáil is off next week - the Leinster House Agreement, you know.